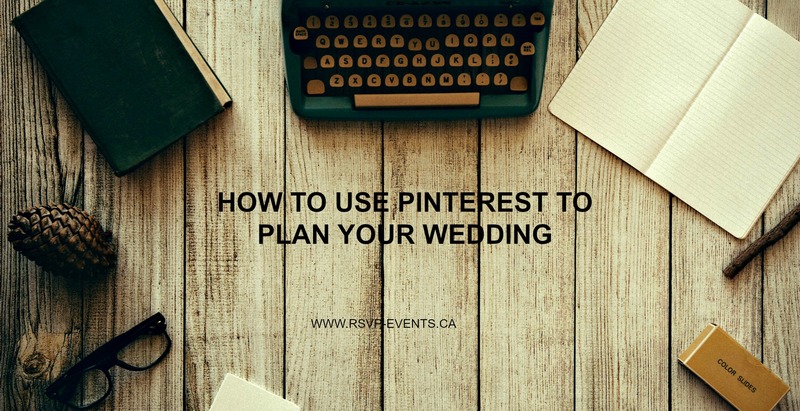 Pinterest is a very popular tool for planning weddings, as long as it is used the right way, you have nothing to worry about! A lot of brides are addicted to Pinterest and so are wedding planners/stylist & photographers. You can easily bookmark and categorize all your wedding ideas and inspirations into different boards that makes it extremely easy to visualize your wedding. Pinterest is definitely the hottest thing around! You need to define your aesthetic and if color palettes are not your thing, your wedding planning can seem like a nightmare. What style of wedding are you envisioning for the big day? Are you going for a rustic look, a vintage feel or a more intimate wedding feel? What colors will your bridal party be wearing? Feeling overwhelmed? This is where you can find Pinterest extremely helpful. 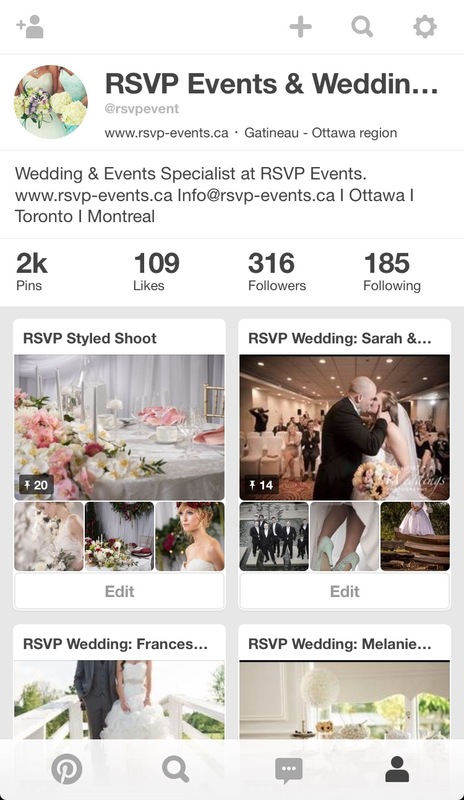 It’s easy, efficient and you can download the app on your phone- Pinterest on the go! We love it!!!. 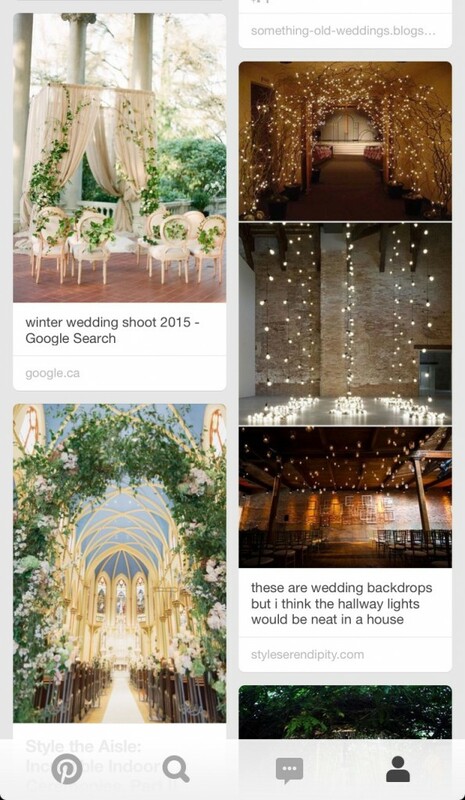 Here are our easy steps and guide to using Pinterest to plan your wedding. If you are not already following us, do so now- click here and you can also follow us on Instagram here! Get the App– The first step is to download the app! Once you create your account, it will give you simple instructions on how to use it. Trust me, it is very easy. Once all is set, start pinning away. Pin ideas and inspiration of what you envision your wedding will look like. Don’t just pin wedding items, home décor or your style of clothing can really say a lot about what your wedding style will shape up to be. For example, if you pin a lot of restaurant items, or great wines etc., you could be a Foodie. You might want to host your wedding at a fancy restaurant to reflect this with good wine. At the end of the day you want a wedding that will reflect both you and your new hubby to be. Create your boards. – Create different boards for different ideas. This will make it easy to really see what you are thinking. And it makes it easy to reference a particular board when you need it really fast. Examples of boards that you can create: Wedding décor, hair and makeup is a big one, wedding dress ideas- show this to your bridal consultant, and photo ideas for the day. Take a look at our boards for ideas and things to pin. Share a secret board with your wedding planner/designer, florist and even your bridal party– Pinterest has the ability for you to create a secret board. If you are not the type to share your ideas the world just yet, this is a great tool to use. Any one you collaborate with, will also have the ability to pin to your board. Cool? Don’t forget to follow wedding venues, magazines, bloggers, planners and stylist. The more you follow, the more inspirations will open up to you. 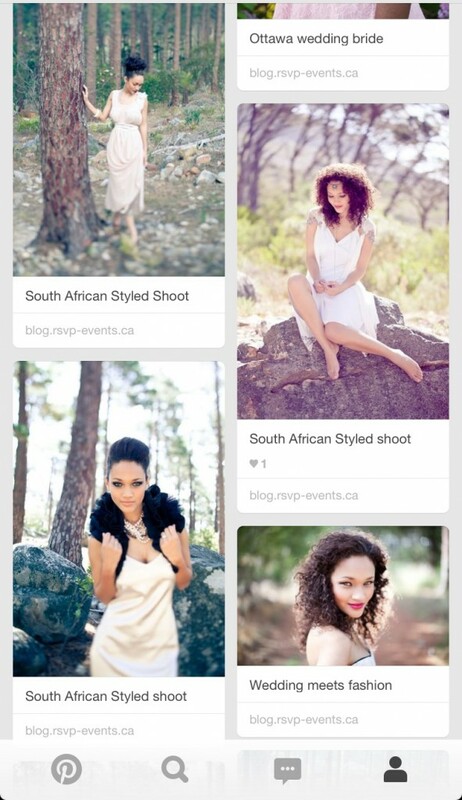 And because planning can be time consuming, you are able to pin on the go! Note: Pinterest is a source for inspiration. You might find very extravagant weddings on the site, this might not reflect your wedding budget. Discuss your options with your event specialist.